Altijd rooien met brede banden zonder de rug samen te drukken. 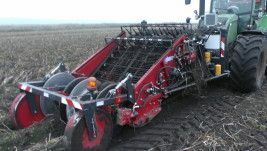 Front Harvester, in combination with offset harvester. 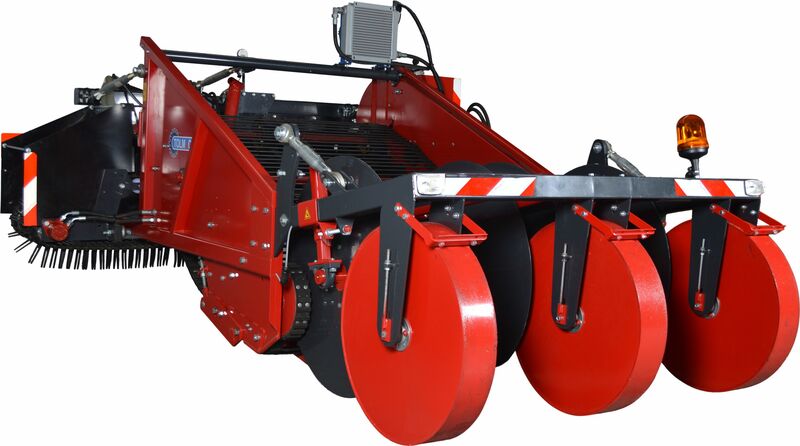 For harvesting two rows in front of the tractor (row 1 and 2) the machine is equipped with “diabolo less” intakes. 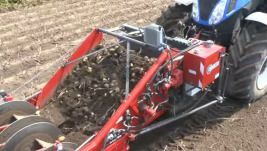 The first web transports the potatoes to a side conveyor belt, that gently places a windrow between the next rows to be harvested. In this way your harvester increases capacity, being able to pick up 4 rows in the same time. Using this system, both harvester and tractor, can always use wide tires. To quickly to establish transportof the MT12, it is standard equipped with a hydraulic side shift. At a relatively low investment in this system a significant increase in capacity is achievable. 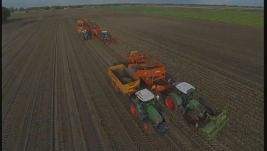 120 kW in combination with harvester in normal circumstances. 145 kW in combination with a bunker harvester in normal circumstances.